Explore The Park, an immersive outdoor dining and entertainment district, and discover an unrivaled sports and entertainment venue, T-Mobile Arena. Throughout the world, beautiful and engaging public spaces have become a trademark of the finest cities and Las Vegas is no exception. MGM Resorts has re-imagined the traditional pedestrian experience by creating a dynamic destination located just off the famed Las Vegas Strip. 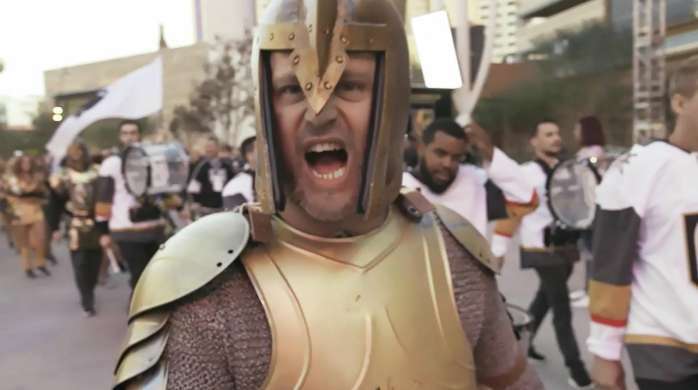 Whether you’re looking for a spot to gather with friends or to grab a quick bite before an epic show, The Park and T-Mobile Arena offer something for everyone. Discover the energy and excitement of Las Vegas’ newest must-see neighborhood. The Park is an immersive, outdoor destination for dining and entertainment. An eclectic blend of restaurants, bars and entertainment makes this the pulse that combines New York-New York, Park MGM Las Vegas, and the T-mobile Arena into one community. The Park Las Vegas is a new dining and entertainment district on the Las Vegas Strip. Nestled between the T-Mobile Arena, Park MGM and New York-New York Resorts, The Park is an outdoor destination for the whole family. 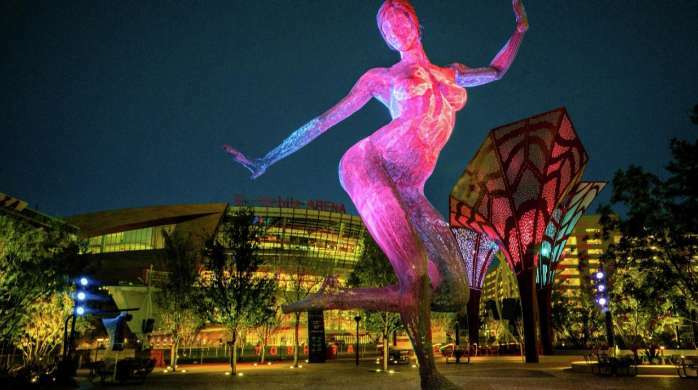 The breathtaking 40-ft tall sculpture, Bliss Dance, is on public display as the centerpiece to the art at The Park. There are also a number of popular restaurant options, many with happy hour specials, making it the perfect place to eat before or after a show at T-Mobile Arena or the Park Theater. The Park Vegas is the central spot for anyone staying at an MGM Resorts destination nearby. And, with the concert and sporting events at T-Mobile Arena, the Park Vegas becomes a great hangout spot before or after the big event. Learn more about each of our neighbors by clicking the links on the right.